No matter how cool the iPhone or iPad camera may be, there are just some video and photography tricks that it can’t do…like 360-degree shots. 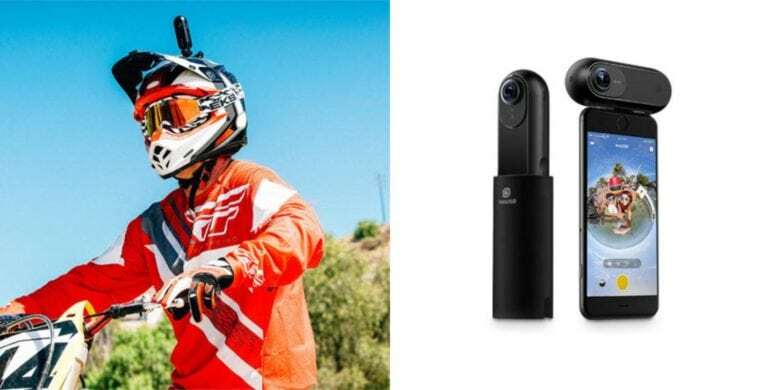 So if you want to shoot literally everything around you, you’re going to need some help, which is where cool add-on devices like the Insta360 ONE 4K Action Camera comes in. This super-portable jack-of-all-trades camera expands your still photography and video capture abilities with a roster of ridiculously neat production features that’ll get your inner Martin Scorsese working. You can check out all it can do right now at $60 off with the latest Cult of Mac Deals, down to only $239.99. Of course, the big selling point here is right in its name — 360 video. And the Insta360 ONE doesn’t disappoint, producing 4K video at 50fps for startlingly crisp, ultra-sharp color and 24MP detailed images as you swoosh down a snowy mountain, explore the ocean depths or just take a stroll through the city. Once you hook you Insta360 ONE into your Apple device via the Lightning port, your video enjoys full FlowState Stabilization, which smoothes out your shoots to look as if they were captured with a pro-grade gimbal or SteadiCam. Shoot stunning hyperlapses, trippy slow-motion “bullet time” shots and even live stream right from the camera. When you use the Insta360 ONE app, you’ll also have access to a full service editing suite, including loads of professional edit capabilities. With the current discount, this fan-favorite camera that impresses is now almost 20 percent off at $239.99 while the deal lasts.